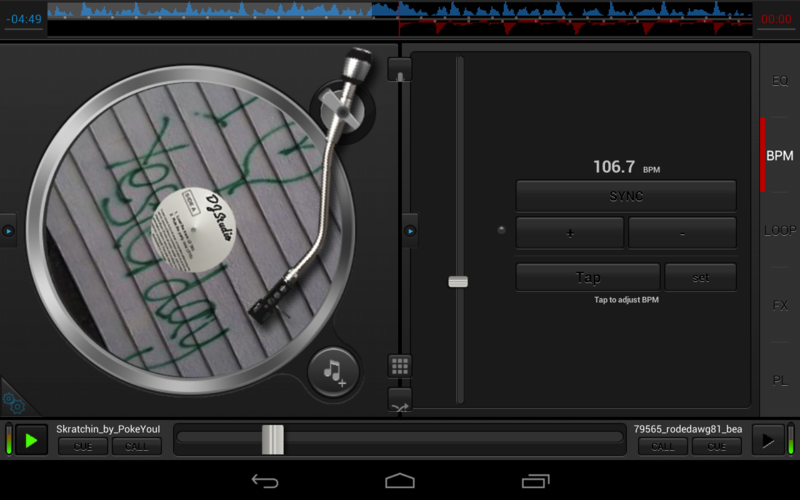  The original DJ application, free for you from the beginning of Android. 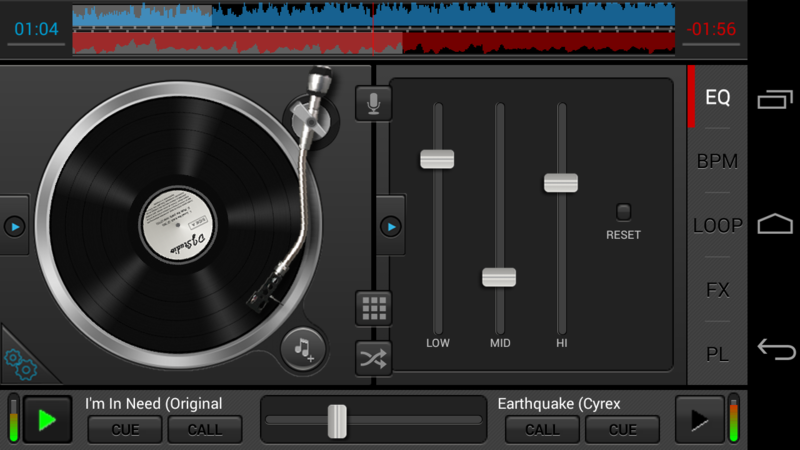 Turn your mobile into the ultimate DJ turntable. Get ready to be that person who can create a party atmosphere out of nothing. Belt out tunes and make people dance at your command. And no, we are not telling you to invest in mega expensive DJ equipment. 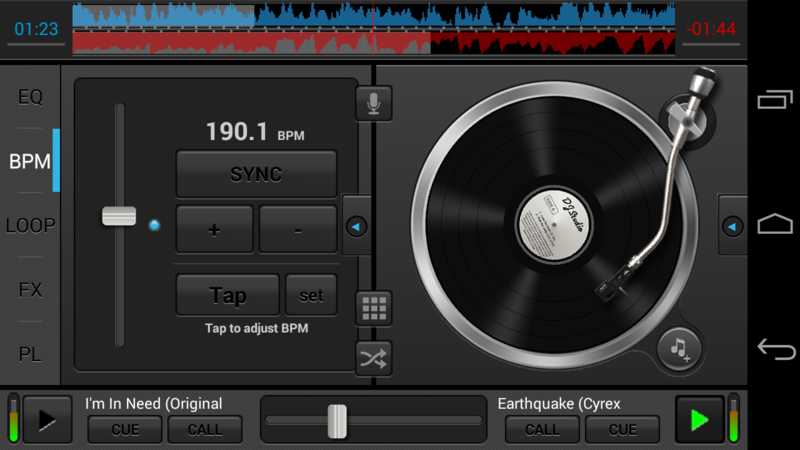 All you need is DJ Studio 5 on your mobile. Guess what? It is absolutely free! 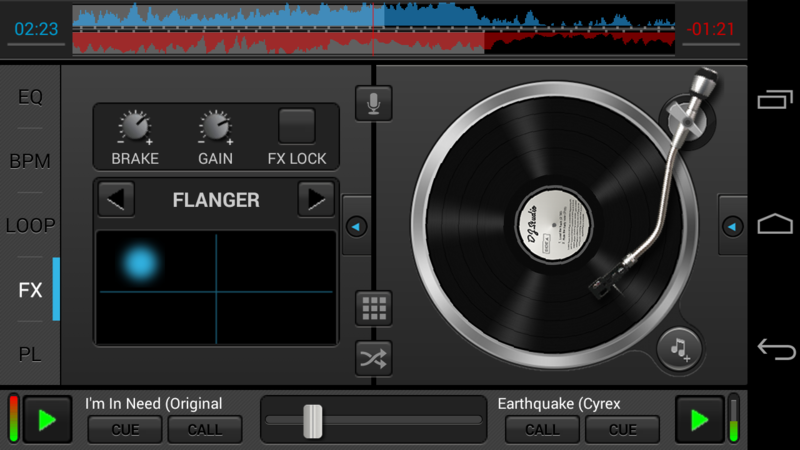 Mix, remix, scratch and loop music just like you would on a professional turntable - only this one fits in your palm. Whether you are professional or an amateur, DJ Studio is perfect for you to take the party anywhere. 100% free: No hidden signup costs, no unexpected fees, no paid features, and no restrictions. Except for optional skins that you can pay for if you wish to support our work. Highly compatible: Works perfectly with Android 2.3 or more. 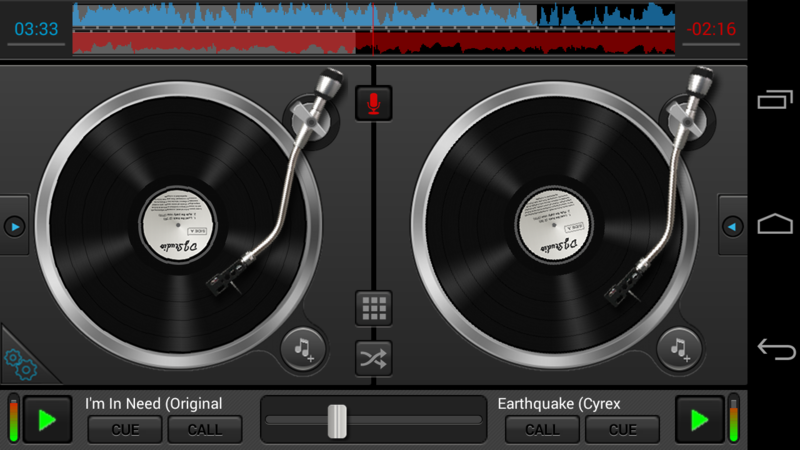 2 turntables: Enjoy twice the excitement plus an awesome cross fader to help you do more. Disc physics and a unique scratch engine: So you can experiment all you want. Manage you folder and playlist: Sort you mp3 music library in categories as well as edit or re-order your playlist. 8 fantastic sound effects: Flanger, Phaser, Gate, Reverb, Bit crusher, 3D, Brake or Flipping Double? Take your pick. Filled with details: 3-band equalizers, in/out and beat based loops, one cue/recall point per deck, auto-mix function and other features to make you go pro. Different styles: Automatic landscape or portrait mode. 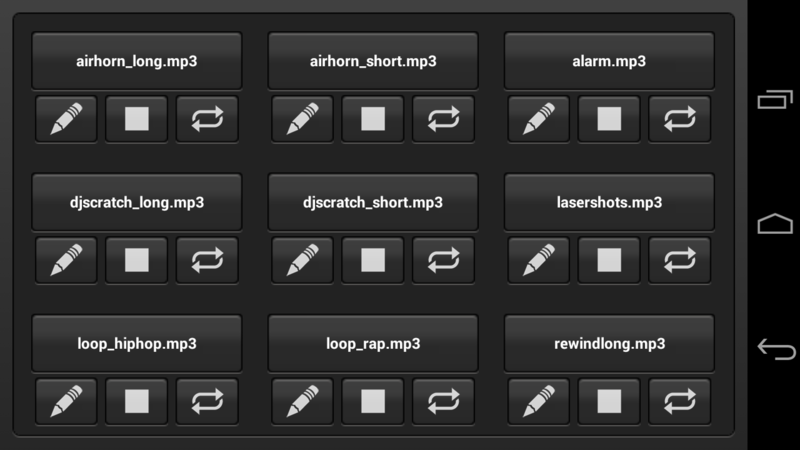 10 customizable sample pads: Add or remove what you want. Live record: Created a beautiful track? 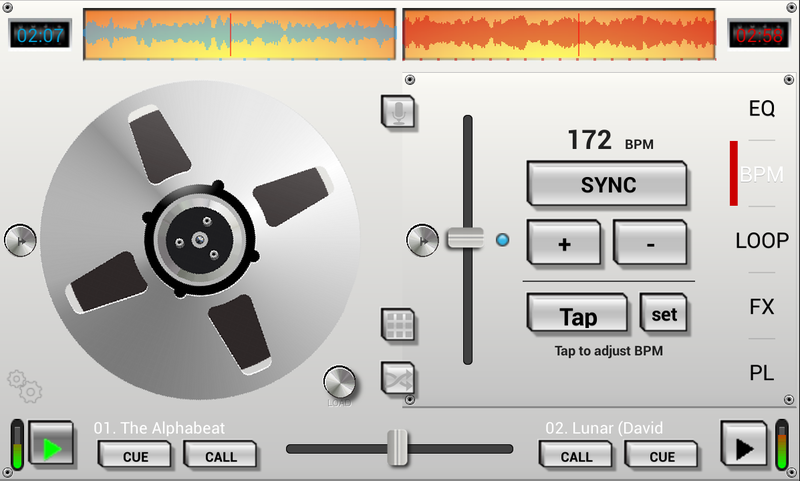 An in-built recorder helps you record every mix. Share your music with the world: Create and upload it on any social platform Like SoundCloud with ease.  Is DJ Studio 5 - Free music mixer yours? Claim it!